With this topic I think I will get a lot of different opinions, experiences and personal choices. 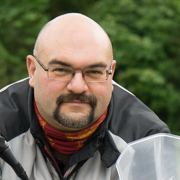 This is based on my experience over the last 25 years of active motorbiking. The Rain Layer is an extra layer, that does not have to be integrated in your Protective Layer !! There are a lot of different Rain Layers on the market. The system of the inner jacket is used by some manufacturers, like Rukka, to make the motorbike suit very versatile. You have the jacket of the Protective Layer. This jacket has no rain protection on itself except a possible spray coating on the outer fabric. After the first laundry this spray coating is usually gone. 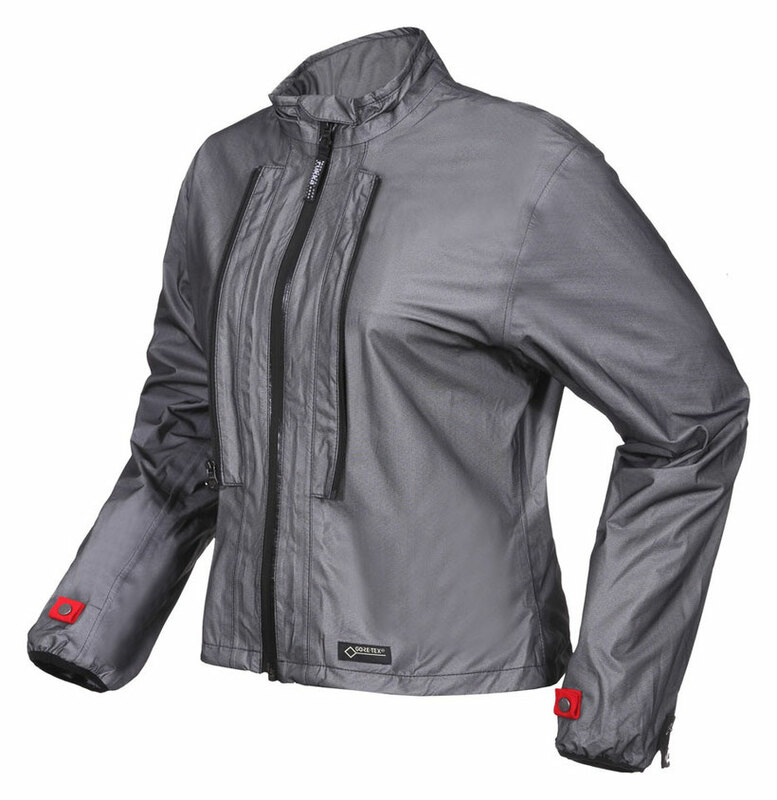 For me, this outer jacket can not be considered a rain protection, but has the huge advantage for warm climates that wind will penetrate and hep to cool you down. To create a waterproof jacket in total, there are systems that have a waterproof inner jacket that you can wear on itself or you can zip it in, so you combine both jackets. The same system applies with the pants. Nice idea, but it does not work as I would expect it ! Imagine it suddenly starts to rain or because of the hot weather you want to wait till the last moment to put your rain gear on. Then you have to take off the outer jacket (Protective Layer) and put the inner jacket on, then the outer jacket on again. Sounds easy. But if you are unlucky you underestimated when it will start and how heavy the rainfall will be. Imagine to take your outer jacket AND pants off, in the rain, and dress again. What a pain! As I mentioned the outer garment usually is not waterproof on itself, so you are riding with a soaked outer jacket and the protection of the inner jacket keeps you dry. Perfect. But what do you do when it stops raining? You take the inner jacket off and wear a soaked jacket ??? Not really. Another aspect that is not concerning me that much, is the cultural one. In a lot of countries it is not a good thing to get undressed at the road side to get your inner pants on. Here all travelling ladies will get in big problems in islamic or more conservative countries, like the US. I will put these 3 types of rain protection in one description because it is more or less the same. 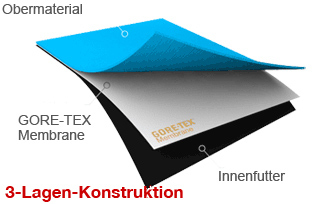 For these Rain Layers they use PU or "Tex" membranes like Gore-Tex or Sympa-Tex and are integrated in the jacket. The Z-liner is the membrane that is glued to a carrier fabric that is sewn in as a loose inner liner in the jacket. It is not attached to the outer fabric. With the 2-layer construction they clue the Tex Membrane to the outer shell and attach just a loose liner inside to prevent the membrane to wear off too quick. The most simple an ingenious idea ist the last one I want to mention. And it is, you guessed it, my favourite. It is a one or two piece rain jacket/pants combination that you just wear on top of it all. There is one disadvantage I see, so I name it first. It is a extra piece of equipment that you have to carry and store and if you are lucky and have no rain it will sit in your bag and takes space. And because it is not just a mambrane but an extra suit it is in combination with your protective layer more heavy, most of the time. But the advantages cover it all. 1. 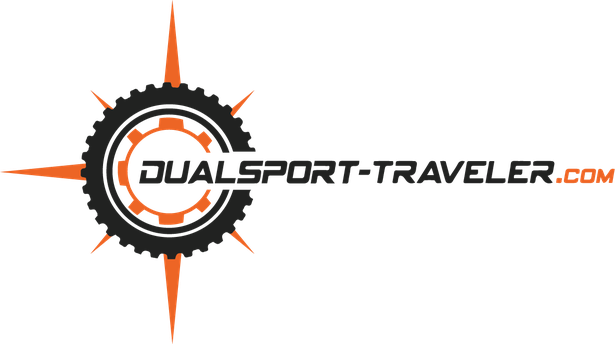 It is usually very cheap and will not add any significant amount on your travel budget. 2. You have the free choice of your protective layer. 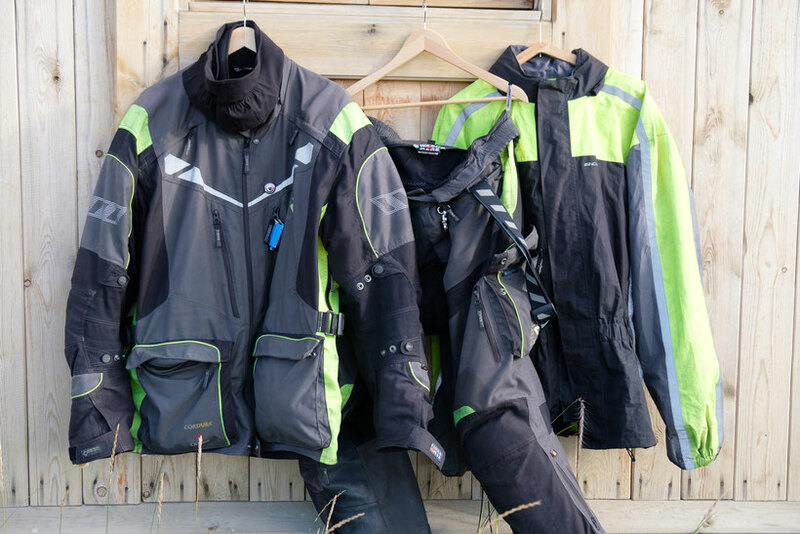 If you want to ride a mesh jacket, a wax cotton, a rallye suit or even a membrane suit. Its up to you and you will always have the full protection on top. 3. When it suddenly starts to rain you dont have to take anything off, but you just put it on top off everything you are wearing right now. 4. And of course the other way round. If it stops raining your membrane jacket maybe kept you dry, but its outside is soaking wet. Especially if you have the "inner jacket version" It will take a (long) time to dry. With the extra rain jacket you just take it off and you have clean and dry stuff underneath. If the rain jacket itself takes time to dry, you don´t have to care about. 5. Did I just say "clean" ?! Yes. This rain jacket system has another great advantage. If you ride after a rainy periode and the roads are muddy or all potholes are filled with rain. Your main stuff stays dry and clean. None of the other versions provides this. 6. And a last little point is the possibility to wear it as an extra warmth layer on top. The extra air cushion and wind protection gives you some degrees of comfort on top. My personal choise? A 2 piece rain jacket/pants combination on top of a good protective layer with or without mambrane. Depends on the weather, climate zone and style.